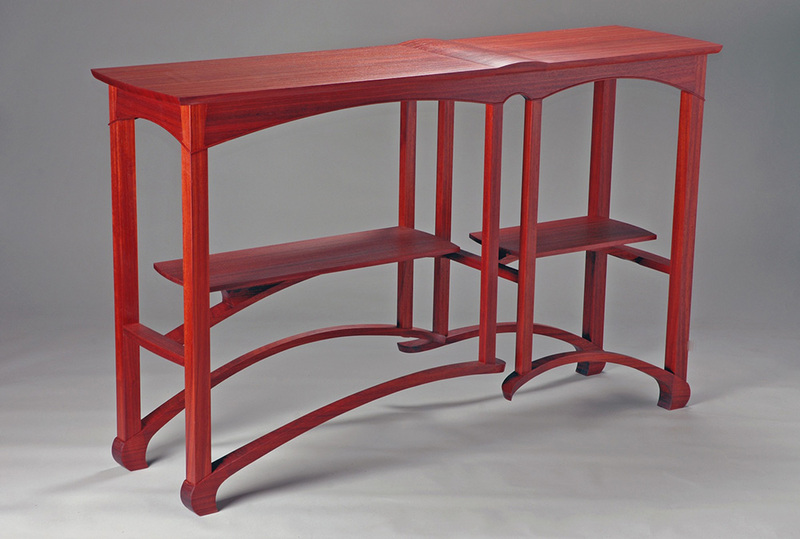 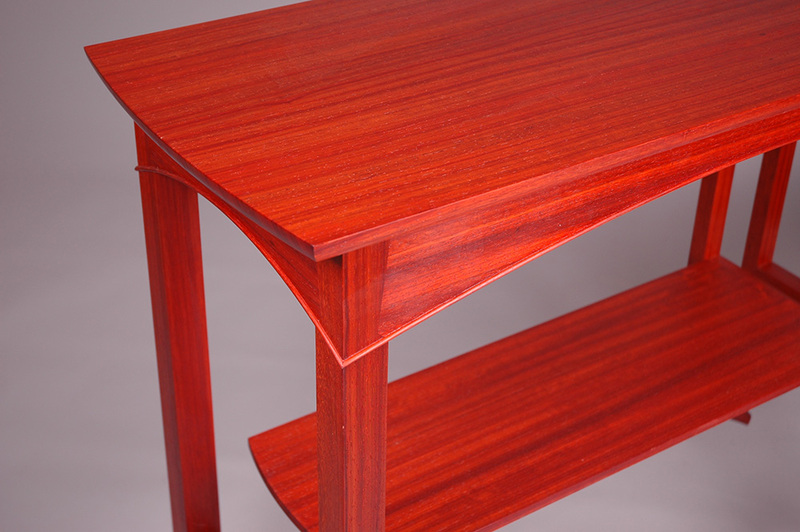 The table explores the joining of two unequal parts, which are based, proportionally, on the classical golden rectangle. 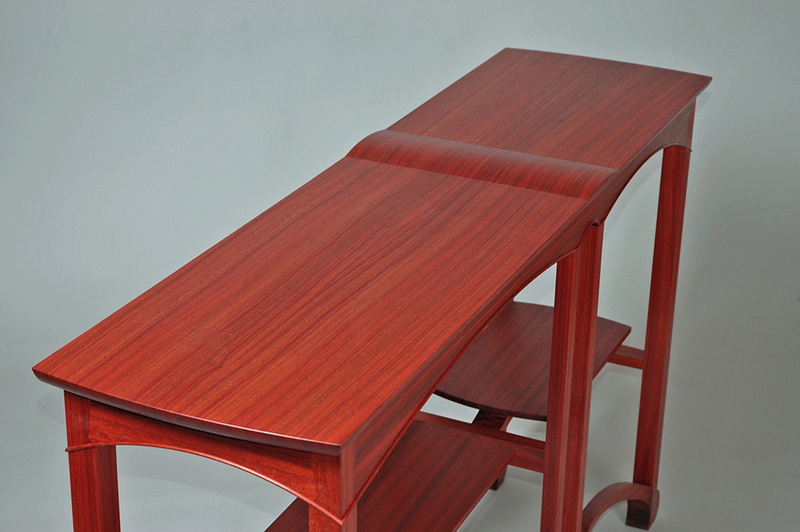 It seems to work both horizontally and vertically; you could split them apart and have two tables. On another, altogether different, level the table explores making connections. 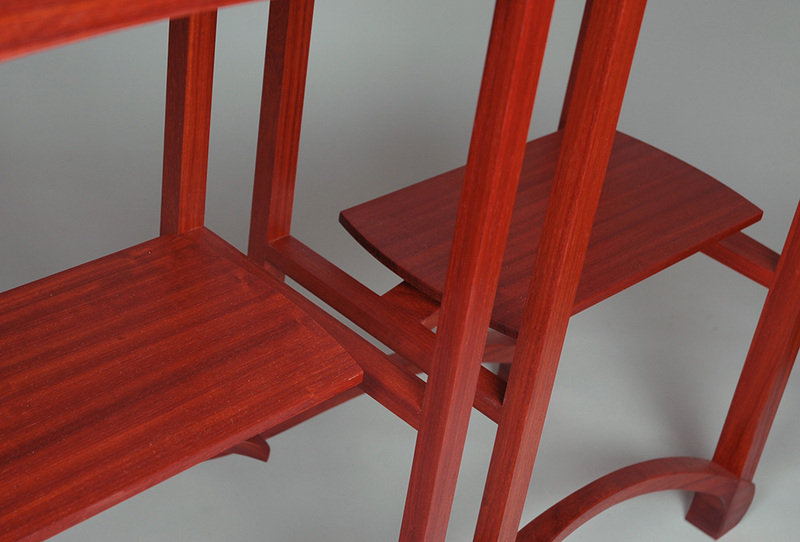 The bottom stretchers have yet to get it right. 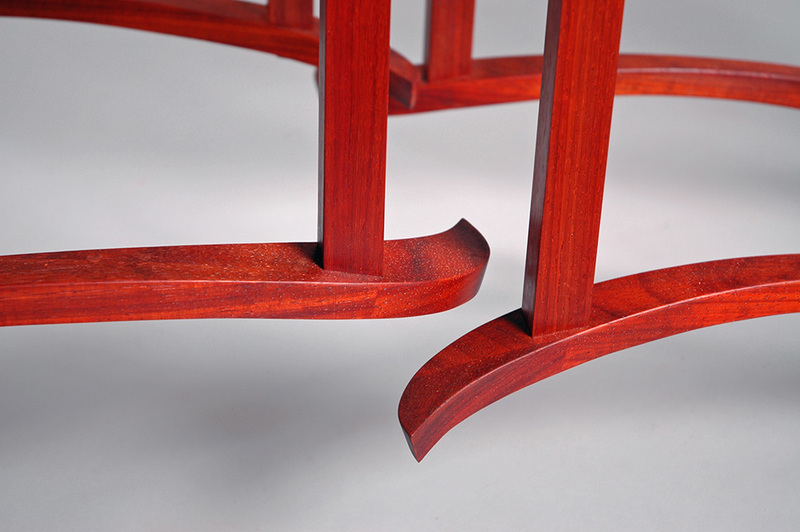 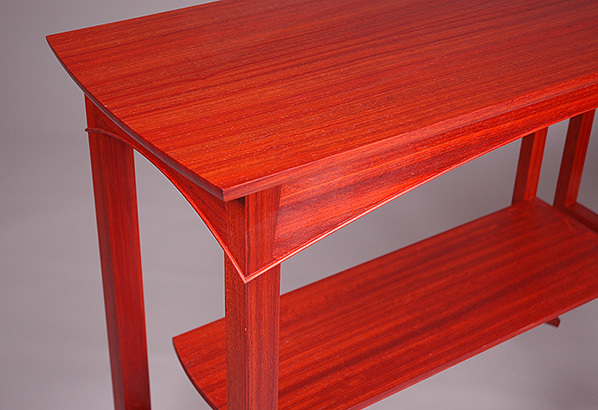 Over time padauk will darken to a much deeper red than seen here.